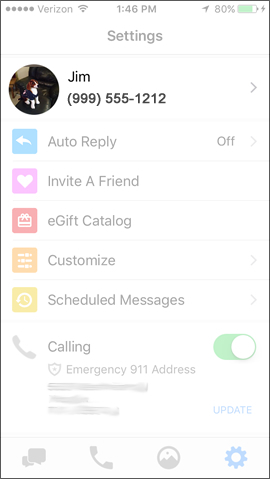 Turn off iMessage to make all your messages available in Message+: From the Home screen, navigate: Settings > Messages. 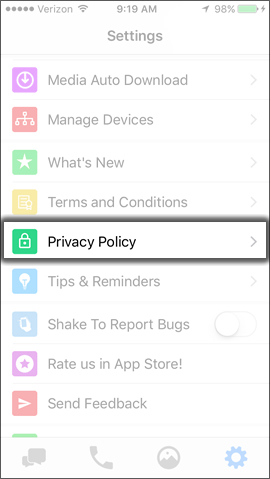 Tap the iMessage switch to turn the switch off. View the Device name and Phone number. 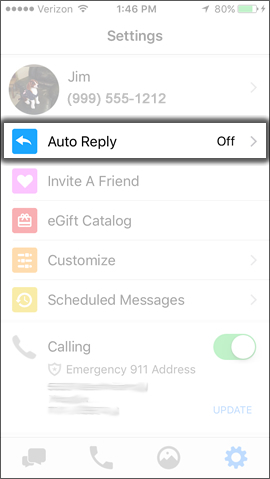 To enable or disable Auto reply, tap Auto Reply. Refer to Manage Auto Reply - Verizon Messages for assistance. 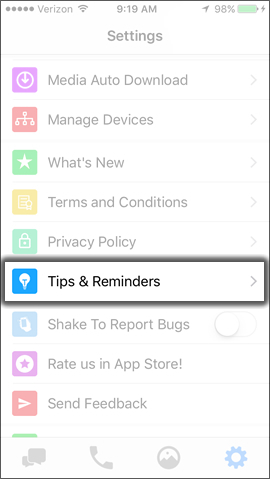 Tap Manage Devices to stop sharing text messages with another device. 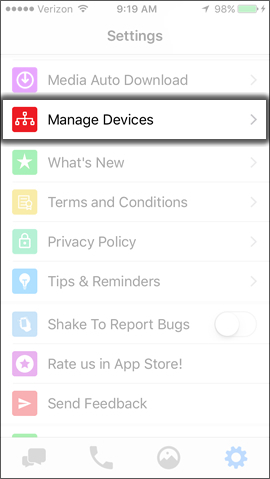 Refer to View/Disconnect Paired Devices - Verizon Messages for assistance. 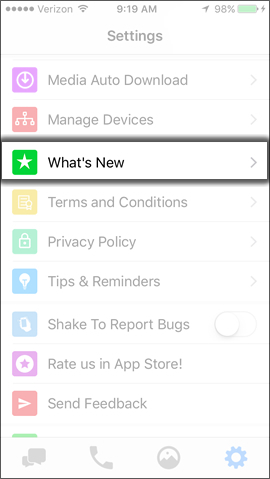 To see what new features have been added to the app, tap What's New. 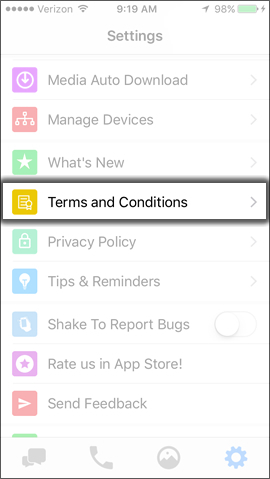 To review the Terms and Conditions, tap Terms and Conditions. To see helpful information on using Verizon Messages, tap Tips and Reminders.